Mona’s 111 lbs Gone & Goal Page!! Home Mona’s 111 lbs Gone & Goal Page!! Mona’s first 30 lbs were lost in 2009/2010. She actually lost 65 lbs back then. Between then and rejoining camp in 2016, she kept 32.8 of those pounds off. 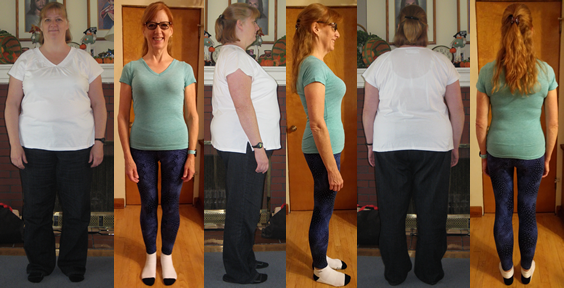 So together, through RFBC she has lost 111 lbs. The 78.2 pounds she lost in 2016 she did in 6 months!! We are all very, very proud of her!! But more importantly, she is very proud of herself. This is the lowest she has weighed in 30 years. The other day she tried on her wedding dress and it zipped up. She has about 4 pounds to be at that wedding weight, and as part of her maintenance program, she is determined to get there. Mona has brought so much excitement and motivation to camp these past 6 months. We all love her and her fire. She wrote a long blurb for this page, so I will let her tell you her story. Greetings!!! I have something to share. I have been a major Cinderella fan since I was a toddler! Really!! I’m not kidding 😉 My absolute favorite movie version is “Ever After” with Drew Barrymore. I believe I have watched this Fairytale more than anyone else on this big beautiful planet! When I wore out my VHS copy, I replaced it with 2 DVD copies. 😉 Yes, I’m a big fan. I truly do believe in Fairy Godmothers, Happily Ever After’s, and everything in between. 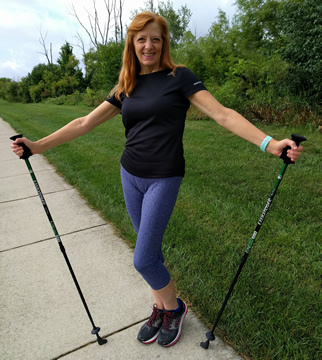 When asked to share about my experience hereat Raw Foot Boot Camp (RFBC), my best description is to tell you that I have lived the best adventures of my version of Cinderella. 😉 With the help of both my Fairy Godmother and all of the other campers…. I have uncovered, uncluttered, and unveiled the healthiest version of myself and shed all the layers that were only useful to the hidden, addicted, unhealthy version. Look around when you are out in public. Obese individuals are everywhere. We are the majority of the population. This fact really makes one think, at times, about how this is possible. I’ve been a professional dieter for 75% of the 52 years I have spent on this earth. I own every diet book, diet cookbook, diet program, and diet internet program in existence to date. I also own a great number of pieces of exercise equipment as well. I cannot begin to count the number of times I have made the pilgrimage up and down and then back up the scale again. I would work extremely hard at getting the weight off only to be extremely efficient at putting it all, plus more, back on again. This past holiday season, from November thru the end of January, I declined every invitation that came my way. My body was riddled with the body wide pain of fibromyalgia, the crushing exhaustion of chronic fatigue, and the dark gloom of depression. My Cinderella spirit was only a faint glimmer. Yet…. A glimmer it was!! This smidgen of hope and a visit to www.rawfootbootcamp.com was the beginning of the start of a new life…. A real life for me and many many others. (Peruse the homepage and meet other wonderful members). You see, I have been here before. I was a private client of Carlene’s (she no longer does this)from October 2009 through March 2010. I lost 65 pounds in 5 ½ months. Once again, I had done an incredible job of losing weight. Yet, I had missed the most important part. I hadn’t comprehended the concept of being a food addict. Yes, food can be an addiction.Food manufactures are experts in this arena. Do some research and rock your world. When you look at the population, it is quite obvious that I am not alone. Here at RFBC, there are many hidden gems. While on the journey to freedom from the vice grip of addiction, you will be amazed at what you find on your travels. Carlene’s Fairy Godmother Wand is found in her brilliance in many areas. The way she has set up the website, the simple Golden Rules, all the way through to her deep caring and complete understanding of all the aspects of the obese population. Psst…… come closer 😉 I have a Boot Camper’s Insider’s Secret to share!!! Carlene LOVES Before & After’s Photos (B & A’s). Really!!! It’s an obsession of hers and we adore her for it. There is magic and brilliance in even that aspect of camp!! Firstly, obese individuals abhor having their photo taken, me included. Yet, now that I am at goal I find that they are PRICELESS Treasures!!! Secondly, obese individuals abhor wearing any form of body revealing clothing. 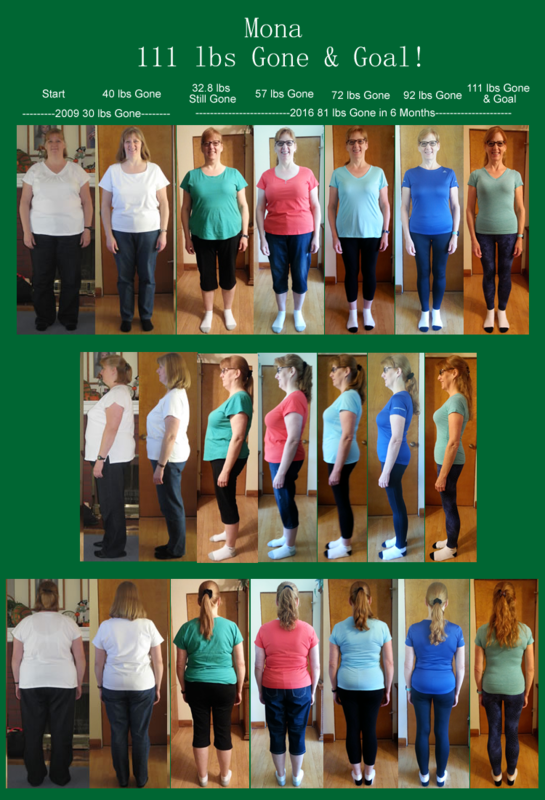 Yet, for our photos it is essential to be able to see the changes in body shape as we move along the journey. My biggest Cinderella moment has happened!!! 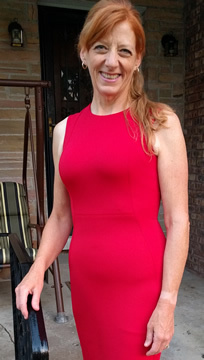 I went dress shopping for the photos you see here on this page… I thought I was a size 10, then I put on size 8’s and purchased that size in dresses. I went back to the stores and bought size 6’s… to have on hand “just in case”. Well……… I wore size 6 dresses and a size XS in my photos and I am sooooo amazed and grateful. Thank You Fairy Godmother!!!!! Life as an obese individual was very very small and always uncomfortable. You know what I’m talking about so I won’t go on and on about it. Let me share the brighter side of kicking this addiction with a real life example. Last week I went on a dinner/concert date to an indoor venue that is also a Winery in Chicago. I completely enjoyed every aspect of this date. I felt great, I looked great, I enjoyed being in “my” skin. I was confident, comfortable, and alive.I loved being “ME” and I felt normal, included, and an essential part of the evening. All former feelings of wishing I was this or that were NON EXISTANT!!! YES!!! ANOTHER CINDERELLA DREAM HAS COME TRUE!!! Wheeeeeeee!!!!!! On my wedding day I weighed 144. As of this morning, I weigh 149 !!! My BMI is 22!!! I have lost 111 / 78.2 pounds!!! My 30 year Wedding Anniversary is on October 4th, only 6 weeks away, YES… I fit into my wedding dress!!! AND…. I haven’t been in the 140’s in 30 years. Again, ANOTHER CINDERELLA DREAM HAS COME TRUE!!! I have learned I am very sodium sensitive. I never had a clue prior to RFBC. You see, I have worn compression stockings for 27 years for swelling in my ankles and feet. I have not worn these dreaded stockings since week number three. I will never go back to wearing them!!! I’m enjoying life without these so much more!!! (Yayyyyy…. I can now weardresses!!!!!). YES…… I BELIEVE WITH MY WHOLE HEART AND SOUL THAT THIS JOURNEY IS SOOOOOOOO WORTH IT!!!! Carlene isn't around right now, but will get back with you as soon as possible. Do You Have The Courage to Change? Click On the Chip to Join our Free Membership Area.